Several months ago I asked a few friends to read the rough draft of a manifesto I had written. 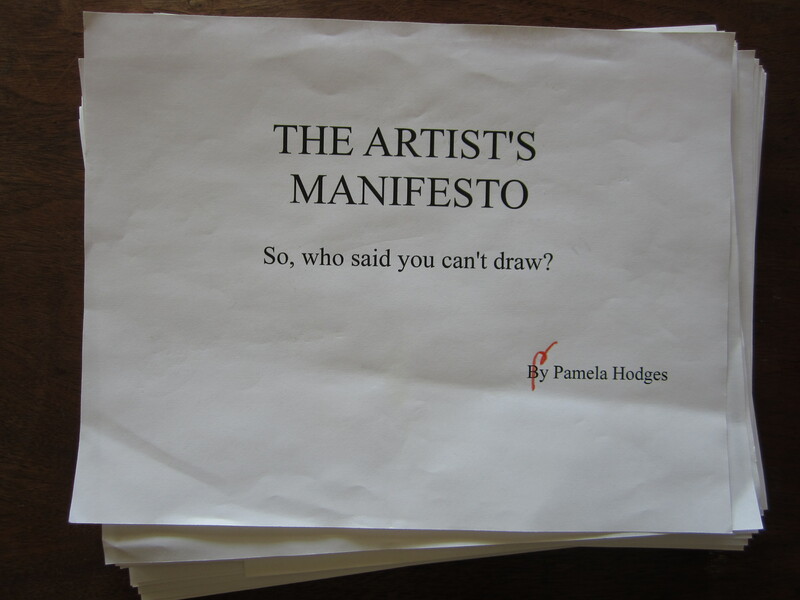 The Artist’s Manifesto. Everyone, but one, liked it. The people who liked the manifesto really liked it. They replied in all capital letters and exclamation points, “I LOVED it!”, “I am so impressed with your manifesto!” I was encouraged by their comments. I did not continue working on the manuscript. The one negative comment had taken over my brain. I could hear her comments again and again. Well, today I told the negative sound track in my brain: “Shut up.” I turned off the tape recorder. I deleted the negative file. I wrote the manifesto to encourage you. Today I realized that I wrote it for myself as well. 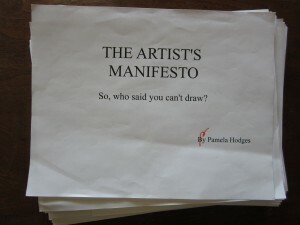 The Artist’s Manifesto is a challenge to not listen to the negative comments of others and create art. Today I am working on my manifesto again. I need to believe what I write. Have you ever been derailed by a negative comment?